Delhi’s sky has remained highly smoky since yesterday, and the crisis is very much evident in data. The air quality index (469) recorded “severe” level, which means the air quality affects even healthy people and seriously impacts those with existing diseases. Delhi-NCR’s entire landscape reminds again that more needs to be done to keep the pollution low. The sudden deterioration, according to scientists, is due to fall in wind speed and rise in moisture content, which is making the pollutants build up fast. While wind speed, which was 20-25 km / hr during the last few weekends, has reduced to 7-8 km/ hr, in some locations it has dropped to as low as 1 km/ hr. Moreover, the humidity level is rising. The atmospheric mixing height (where the lower atmosphere meets upper atmosphere, allowing dispersion) is gradually falling and the temperature is dropping, which is coalescing with low wind speed to worsen air pollution, according to scientists. Calm atmospheric conditions are trapping the pollutants and building up the concentration. The running average level of PM2.5 on 21/12/2017 at 17:00 hours reached to 318.6 microgram per cubic metre (µg/m3) in Delhi, which is “severe +” category, the highest alert level. If this persists for another 48 hours, several stringent actions such as shutdown of schools, imposition of odd-even scheme on private vehicles, restriction on construction and entry of trucks may be imposed. The air quality forecasting agency SAFAR predicts that air quality index for the city will remain severe till tomorrow. After three days, the air quality is expected to fall to very poor category. What is making the air pollution worse? It is known that air quality gets affected by local as well as trans-boundary pollution movement. So, with falling wind speed more emissions from local sources will add up to already densely polluted air. So experts caution that city needs to be more vigilant on pollution sources (polluting vehicles, industries, waste burning) because crop residue burning, which had a major contribution earlier in November, is no longer a major contributor. 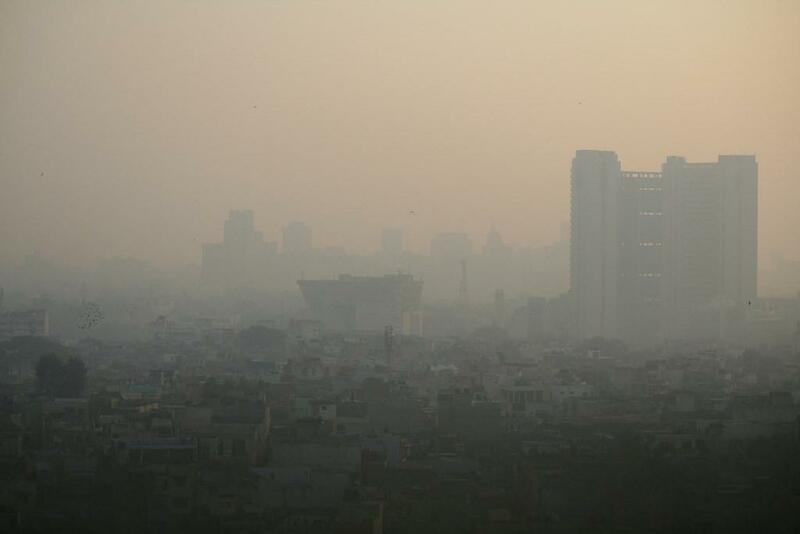 Relative contribution of pollution sources in Delhi-NCR towards deteriorating air quality is expected to be high. But one thing is sure, that India, as a whole, now needs serious policy interventions because while Delhi gets the limelight being the capital, there are many other cities which are equally bad in terms of air pollution. For example, today, air quality in Kanpur, Lucknow, Noida, Ghaziabad and Agra is at “Severe” level, while in Ludhiana, Mandi Gobindgarh, Muzaffarpur, Patna, Rohtak, Singrauli, Bhiwadi, Faridabad and Gurgaon it is “very poor”. Several city and state governments need to act fast, but will they?